The abilities of a Runner – trying to catch a glimpse of truth. In this issue, we follow Faith as she tries to gather information on the person who’s tracing her father down. After contemplating the remains of the old City, she gets into action. A great feeling of discovering bits of her past comes our way. Also, this issue touches a bit of dramatization. Feelings, memories, thoughts…something that helps you feel still alive. We have also our share of action, as Faith is breaking into some apartments. And of course, she must escape from the tenants after that. The world of Runners is filled with dangers. Are you capable of taking risks? This entry was posted in Comics on February 18, 2011 by Gratian. Faith was startled by the photos of her father and now, she needs some answers from him. In this issue we see her on the first official mission. Welcome again to the world of Runners. 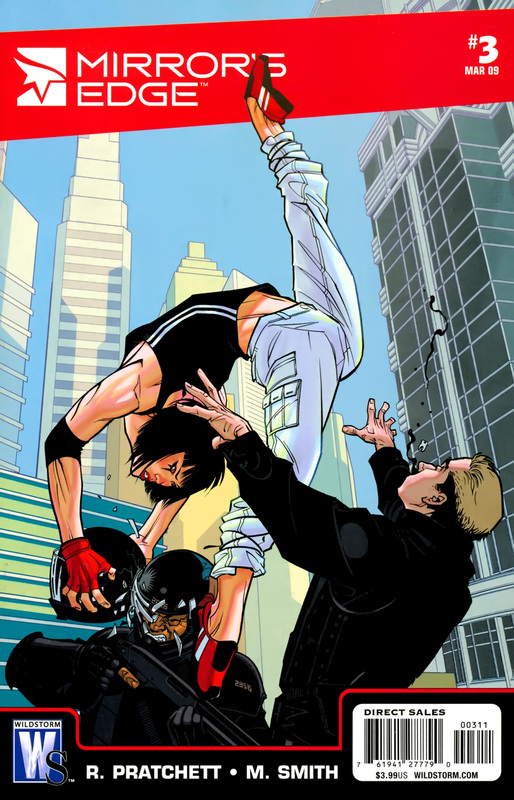 The second issue of the Mirror’s Edge comic presents Faith trying to track down her father. The surveillance photos that she discovered are a sign of something shady that’s been developing. So, without hesitation she meets some old friends hoping that she might get something about her father’s whereabouts. We see how her work is a public menace and she always have to hide from the cops. Her sister Kate managed to become an officer and meeting with her is really a dangerous thing now. More questions are rising up, but we get to learn a bit more about the world of Runners, their feelings and perceptions upon the city they are living in. This entry was posted in Comics on February 7, 2011 by Gratian. 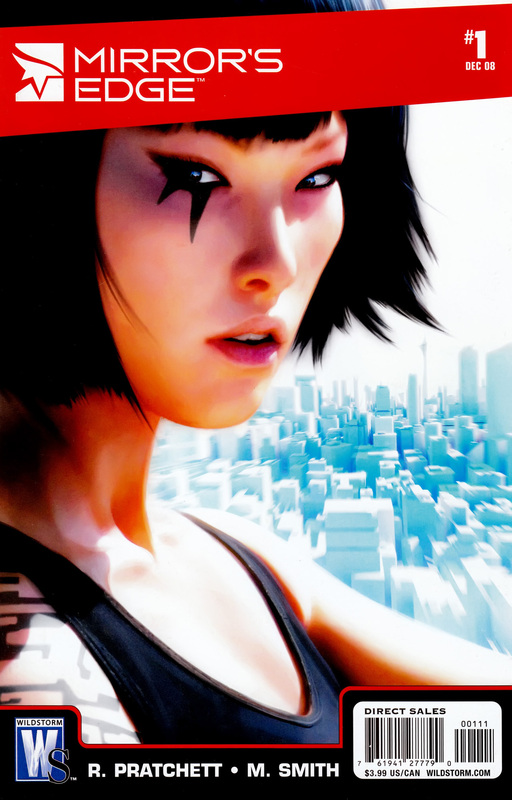 The Mirror’s Edge game didn’t answer all the questions that were raised up by the plot and because the story of the Runners is so intensive, I decided to read the comic issues that followed this production. The Runners are an illegal association, a courier group that works above the City’s legal requirements. They tend not to get involve in what they are transporting, because they are paid only to deliver. When Faith Connors is caught stealing, her victim will become soon the one to infiltrate her into this world of Runners. Faith is ready for getting some action and because a new ear-piece must be tested, she is sent into the battle field. A couple of stunts and she’s enjoying life like nobody else would. The only thing is that one of her comrades is in a pinch and he needs help – so by helping him, she gets to see what he was carrying – surveillance photos of her father. Written by Rhianna Pratchett and illustrated by Matthew Dow Smith, this first issue is representing Faith’s first encounter with the dangerous world of the Runners. She is persistent anyway so living on the edge it’s the best way for her to start. 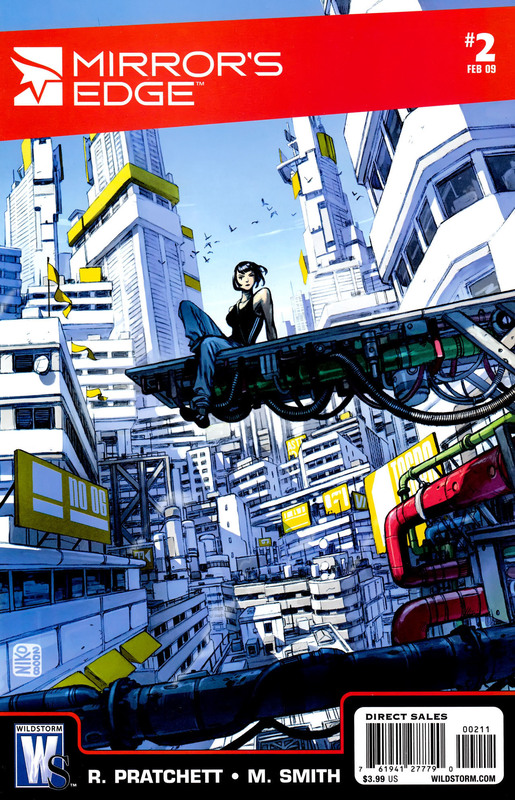 This entry was posted in Comics, Games and tagged comic, faith connors, game, issue 1, Mirror's Edge, parkour, runner, the city on February 4, 2011 by Gratian.